Mumbai, Bahu Balli 2 is the newly released Indian movie, which has proved the blockbuster movie on Indian film industry. This movie was released ten days before and this movie has earned about 1000 crore rupees after its release. Raj Mooli is the director of the movie and this movie was prepared with the total budget of 250 crore rupees. Before release on the Indian box office, this movie earned 500 crore rupees in terms of satellite and distribution rights. When this movie was released on the box office, it earned 800 crore rupees in India in just 10 days and it also earned 200 crore rupees from all over the world during this period and the total earning of the movie reached to 1000 crore on the first ten days after its release. 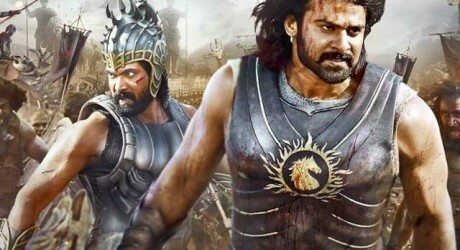 This movie was released in various languages like Telugu, Tamil, Hindi and Malyalum and it has done the world record of earning such big amount in just ten days after its release. This movie is also advanced to the movies, ‘PK’ and ‘Dangal’ of Aamer Khan, who released his movies in China but it failed to reach to the total earning of the newly released movie. the movies experts said that this movie will reached to the figure of 1500 crore rupees in few days.